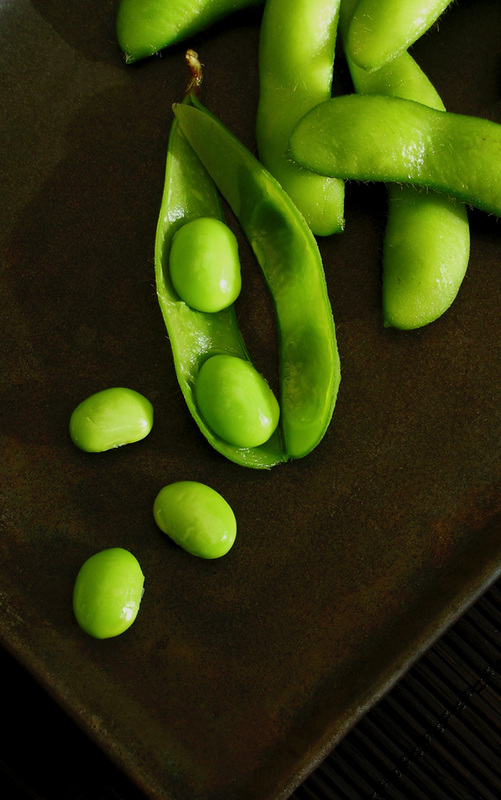 Edamame has a soft, smooth consistency with a slightly sweet flavor. It requires minimal cooking compared to mature soybeans. Mature soybeans are hard and must be re-hydrated by a longer cooking process to soften the beans before eating. Edamame is an excellent source of plant protein and very popular among vegetarians and non-vegetarians. In addition to being nutrient-dense, edamame is easier to digest than mature soybeans. This is appealing for many people who can’t tolerate other types of legumes. Quick and easy to prepare, edamame goes well in a variety of dishes. Some tasty uses for edamame include roasted garlic edamame spread, Greek-style edamame salad, edamame couscous and dark chocolate-coated roasted edamame for dessert. Ready to try edamame? You need to first cook the pods before removing the beans. It is very difficult to remove the bean from the raw pod. DO NOT EAT THE POD – only the bean is edible. However, you can always skip this step by buying already shelled edamame. remove dirt and any surface residue. 3. Drain the pods and rinse under cool running water. 5. 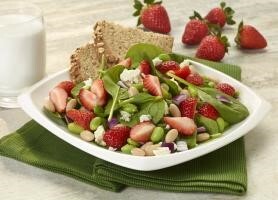 Gently squeeze the pod to remove the beans.Try the recipe below for a delicious blend of edamame, strawberries and white beans. 1. Cook edamame according to package instructions while preparing other ingredients. 4. In a medium bowl combine other ingredients except for the spinach and vinaigrette. white bean and strawberry mixture. 6. Drizzle with dressing and serve.